Looking over Buffalo Bayou on a November afternoon, the grass and leaves surrounding the water are still green from recent rains. 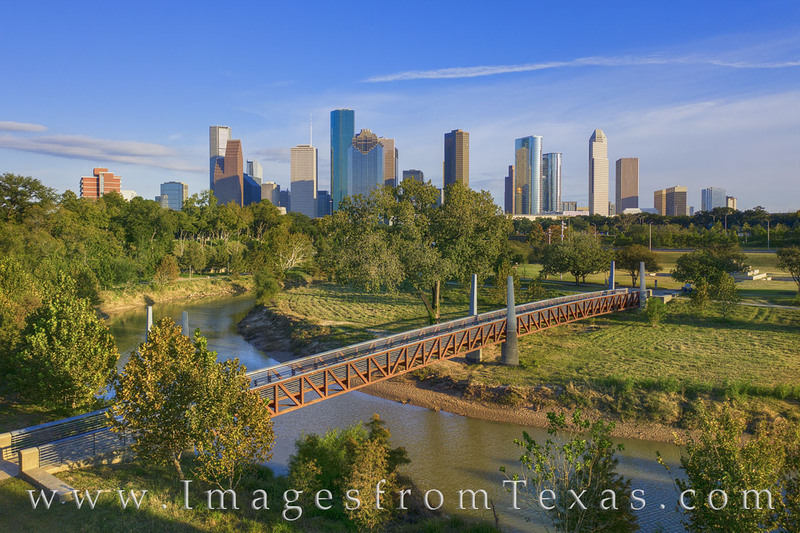 In the distance, the highrises of the Houston skyline rise into the cool, blue sky. This was a beautiful day in the largest city in Texas, as seen from a drone floating abouit 40 feet above the ground. Photo © copyright by Rob Greebon.